it is. Fortunately, Barry works for the IRS, giving him possible access to Kieran tax forms. his bizarre 'mind control'-wielding co-worker, to give him Kieran's address. 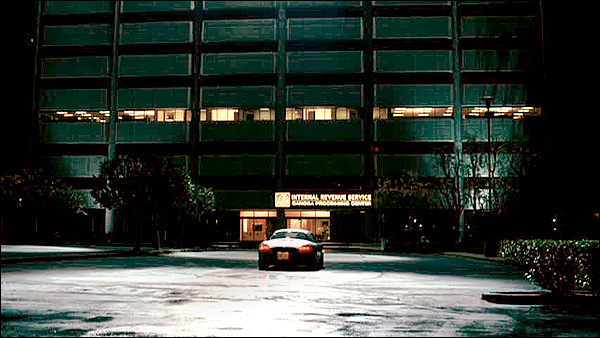 This building actually is in the San Fernando Valley, but not, as you might expect, in Canoga Park. Instead, you'll find just south of that city, at 6301 Owensmouth Ave, in Woodland Hills, CA. 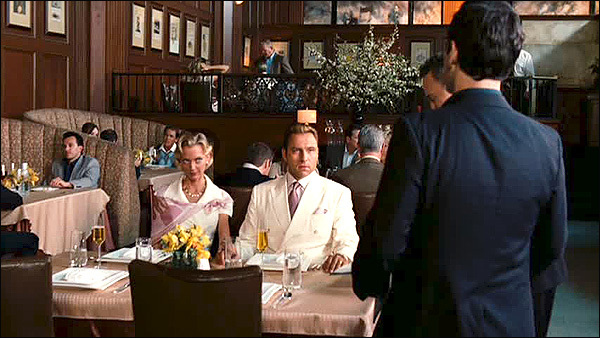 Tim goes to a fancy restaurant for a meeting with a very important client couple, the Muellers. Mrs. Mueller is eager to meet Tim's fiancé, Julie, but Julie hasn't come with him. attempting to pass Darla off as Julie. It only succeeds in creating an embarassing mess. in a 1919 bank building at 102 Pine Avenue, in Long Beach, CA. 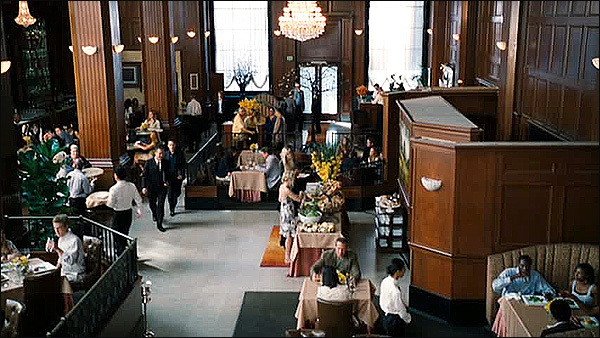 the producers cheat a bit and switch locations, from Long Beach to Culver City. "The Wizard of Oz", when the little people playing the Munchkins were put up at the hotel. Hoping to rescue Julie from Kieran's clutches, Tim finally tracks down Kieran's ranch. 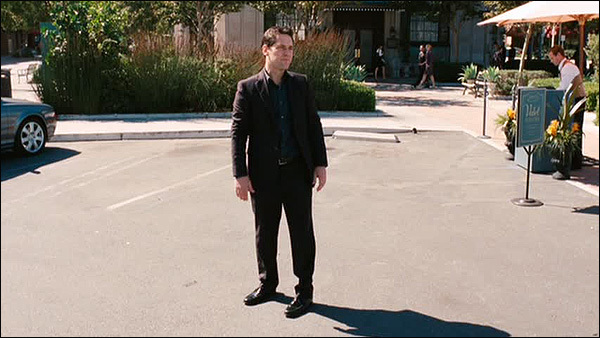 This scene was shot at El Campeon Farms, at 1313 W. Potrero Road, in Thousand Oaks, CA. south of the Ventura (1101) Freeway, and about two miles northwest of Lake Sherwood. 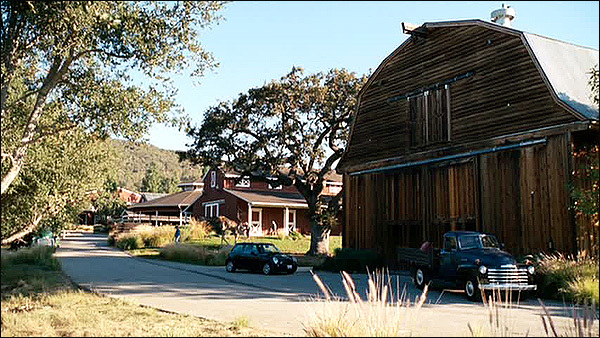 The barns seen in the screencap above are just northeast of the main entrance. 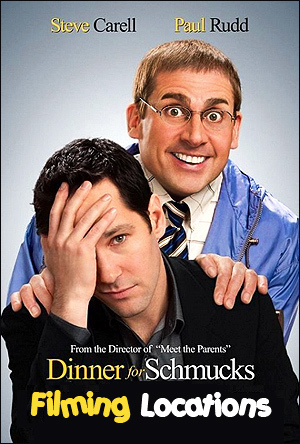 The plot builds up to the grand finale: the "dinner for schmucks" at Fender's mansion. The guests arr told to bring along an idiot to the dinner, and the biggest idiot wins a prize. the loss of Mueller's finger to a vulture, and ultimately, the destruction of the mansion. 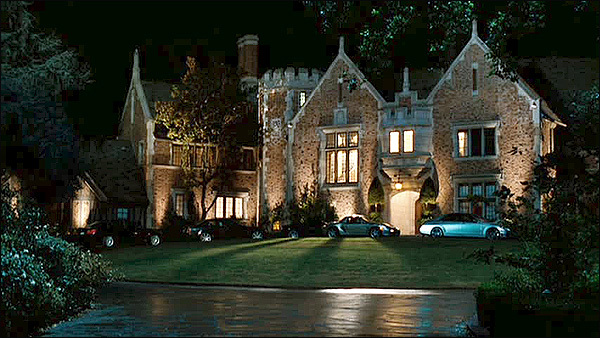 This mansion is located at 380 S. San Rafael Ave, on the west side of Pasadena, CA.